In this series of video clips, Annie explains why she prefers to use ByAnnie's Soft and Stable in all her bags, purses, and other items which need a little extra body and stability. See for yourself how easy it is to include ByAnnie's Soft and Stable in your project. 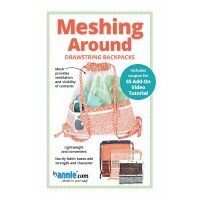 Discover all the ways that Annie uses this handy tool. 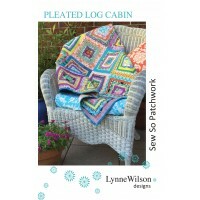 You'll soon understand why she says, "I don't think I could sew without my Stiletto and Pressing Tool in my hand!" In these videos, Mother Superior & Annie demonstrate how simple it is to use Charlotte's Fusible Web from Superior Threads for applique. Discover lots of tips and tricks for foundation paper piecing in this series of video tutorials. Annie demonstrates how to prepare the pattern, position the fabric, stitch and trim to make beautiful and accurate paper pieced blocks. Paper piecing makes easy work of complicated blocks and ensures perfect accuracy every time. In this series of video clips, Mother Superior and Annie show the fun of texturizing fabric using Texture Magic and show lots of ways to use that texturized fabric in clothing, fashion accessories, home dec items, and more. 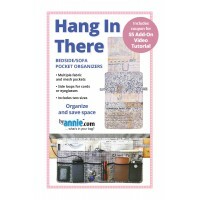 In this video series Annie will teach you all about ByAnnie.com's hardware, handles, and straps. From tips for making strong, sturdy straps to how to attach sliders, rings, swivel hooks, and more, Annie will show you all the steps. In this series of videos, Annie discusses using handbag zippers and shares her secrets for EASILY installing zippers in purses, bags, and more. This series of videos takes you step-by-step through the process of making a handy Folding Wallet. Included are techniques for quilting the fabric, marking pieces, inserting zippers, sewing with vinyl, making straps and tabs and more. This series of videos takes you step-by-step through the process of making a small iCase. 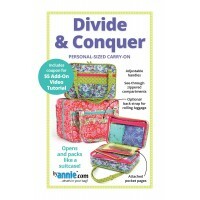 Included are techniques for using ByAnnie's Soft and Stable without quilting it, inserting a zipper, and binding with straight grain and bias bindings, including joining the ends of bindings for a seamless finish. This series of videos takes you step-by-step through the process of making the MiPad Case, a handy case for your iPad (or just a great little purse). Included are techniques for marking pieces, inserting zippers, making a zipper assembly for the top of the case, making a boxed bottom, assembling and attaching an adjustable carrying strap, and more. This series of videos include techniques for quilting with ByAnnie's Soft and Stable, making zippered pockets, sewing on vinyl, joining pieces, making an adjustable strap, binding edges, and more. Annie likes to sew buttons on the bottom of her bags and purses to reduce wear. In this video clip, she demonstrates how easy it is to sew on those buttons using the sewing machine. "Thank you soooooo much for your new series on Texture Magic. My 75-year-old neighbor and I have been having so much fun making things with it. Your series has given us a great savings in time and money so that we can get the exact effect that we want on things. Thanks for sharing all of your experiments." M. J. "What a great idea! I'm a very visual learner, so these are wonderful, especially since I can replay them if (when) I get stuck! Thanks so much for taking the time to make and share them. I'll be watching more as time goes by." C. M.
"I just wanted to thank you for the tutorials on your site that I used in helping me with the MiPad Case pattern. It's turning out so well that I have another planned when I'm done. It's a wonderful service you offer. Thanks again." M.B. Organize it all in these versatile bags in two sizes with adjustable h..
Organize your room while saving space when you utilize these handy bed..
Lightweight drawstring backpacks made with mesh and fabric are easy to.. 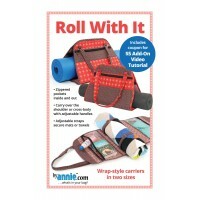 Grab this convenient wrap-style carrier for exercise classes, trips to..
Don't have Soft and Stable on hand or never tried it? Try our Finishi.. 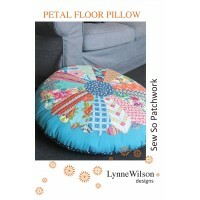 Relax in style on this comfy floor pillow. Choose your favourite fabri.. Folded fabric fun! Use lots of fabrics from your stash or a Jelly roll..
Make your designer style pillows from a coordinated strip roll or choo.. Thanks for your help with the zippers. Completed the bag and took it on a trip. I love your Soft and Stable. You really have made a wonderful product and I'm so glad to have found it. Just made Got Your Back. EVERYONE loves it! It really does look professional thanks to your pattern! The Laptop Bag was a huge hit for my high school graduate. Thanks for the wonderful patterns! There is such a difference between Warm & Natural and your Soft and Stable. This stuff is great! The nicest patterns I have ever worked with. I would recommend you without the slightest hesitation. Made plenty of bags using Soft and Stable. Love it, and yes, it truly makes a difference. 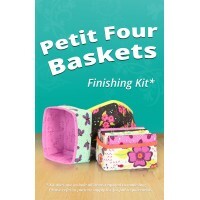 Soft and Stable has revolutionized my purse and tote projects. 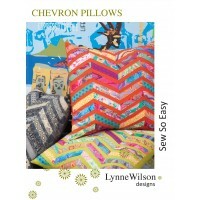 Love your products, website, and patterns too! Thank you. I just want to thank you for your tutorials. It's a wonderful service you offer. I LOVE, LOVE, LOVE this product. Made eight placemats already. So great and easy to work with.